Meetings - Autistics Association of Greater Washington, Inc. - formerly Asperger Adults of Greater Washington, Inc. This is a long Web page. Please scroll all the way down this Web page to see all relevant information…. The Autistics Association of Greater Washington meets monthly at the Teaism at Penn Quarter restaurant in downtown Washington, DC. Our meetings run from 7 p.m. to 9 p.m. The second, formal, part of our meeting runs from about 7:45 p.m. to 9 p.m., which is when the restaurant closes. During the formal part of the meeting, we discuss a topic relevant to autistics. Past topics have included (among other things) stress, physical exercise, procrastination, executive functioning, memory improvement, and social anxiety. At the end of each meeting, our Librarian makes available the AAGW Library of books and CDs on autism and Asperger’s Syndrome. Members may borrow one or more books and/or CDs in return for a small deposit, which is refunded when the item(s) are returned. Saturday, April 27, 2019, 7 p.m.
Saturday, May 25, 2019, 7 p.m.
Saturday, June 22, 2019, 7 p.m.
Saturday, August 24, 2019, 7 p.m.
SEPTEMBER 2019 MEETING DATE NOT YET SET. Saturday, October 26, 2019, 7 p.m.
Saturday, November 9, 2019, 7 p.m.
Saturday, December 14, 2019, 7 p.m. 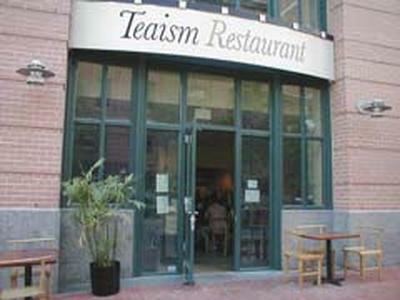 The restaurant Teaism at Penn Quarter is located at the northwest corner of 8th & D Streets, NW. We meet on the carpeted portion of the lower level. Teaism at Penn Quarter is near the Archives/Navy Memorial/Penn Quarter Metro stop, on the Green and Yellow Lines. The Metrorail station exit is on the East side of the Navy Memorial. 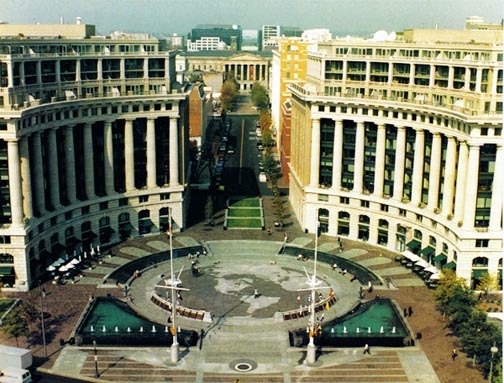 As you exit the Metro, turn right and proceed around the Navy Memorial circle to the gap between twin large buildings. Proceed between the buildings and head to the street crossing on the left side. Cross D Street and you will be at Teaism. Valet service and the neighborhood have gotten more popular. One must pay for street parking until 10 p.m. on Saturdays.